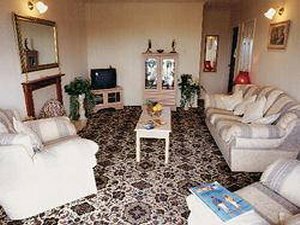 Graig Park is set in the picturesque village of Dyserth, between Prestatyn and Rhuddlan. Clwyd County's rich local history, its castles and country houses attract many visitors. The sandy beaches, mountains, lakes and forests provide a variety of opportunities for those interested in sailing, golf, hiking, country sports or just soaking up the scenery. The lodges are attractively furnished. There is also a country club on-site with full leisure facilities.